The Jesse Owens Museum was built as a living memorial in his birthplace of Oakville, Alabama, with the purpose of honoring the world’s greatest athlete and humanitarian, while seeking to inspire youth with Owens’ example, for generations to come. 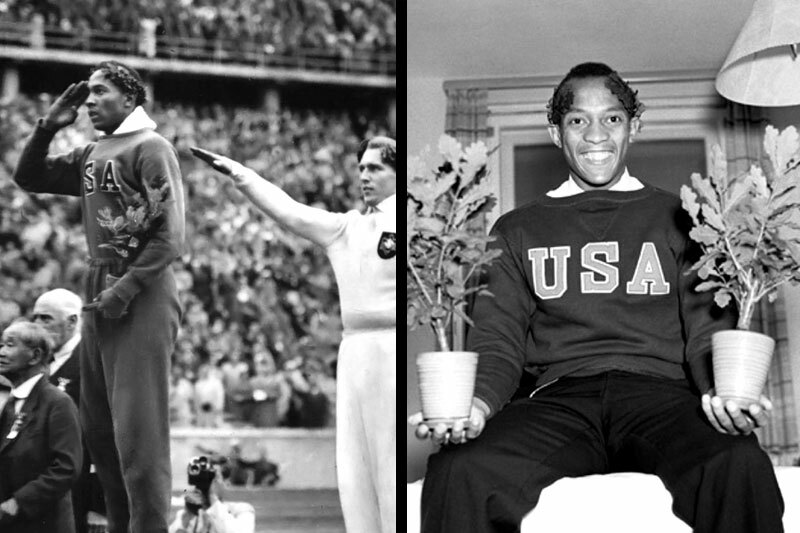 Jesse Owens with wreath and seedlings. 1936 Olympic Games in Berlin. Members of Owens’ family look on, Ruth Owens helps plant an oak tree at the Jesse Owens Memorial Park and Museum. (L to R) Sylvester Owens (Jesse’s brother), Gloria Owens Hemphill, Malcolm Hemphill and Ruth Owens. Oakville, Alabama. 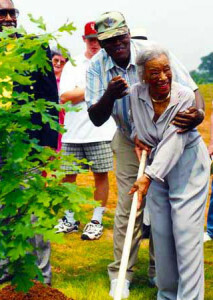 Ruth Owens, with Therman White, planting the Memorial Oak Tree at the Jesse Owens Museum. 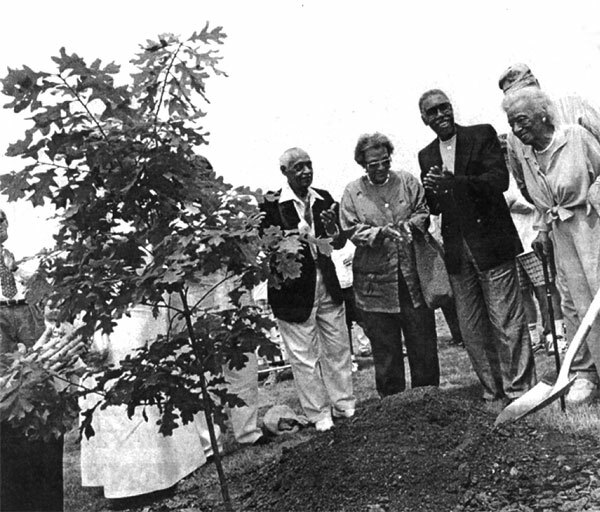 Memorial Oak Tree planted at the Jesse Owens Memorial Park and Museum by the Owens family. *The tree planted at Jesse Owens’ high school was removed during an expansion, but not before Owens had his photo taken with it in 1972. *The tree planted at Ohio State was transplanted to the library site in 1948 to make way for parking lots and a service building. 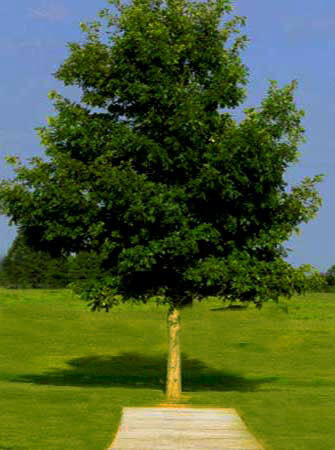 The exact location and status of the tree is unknown.